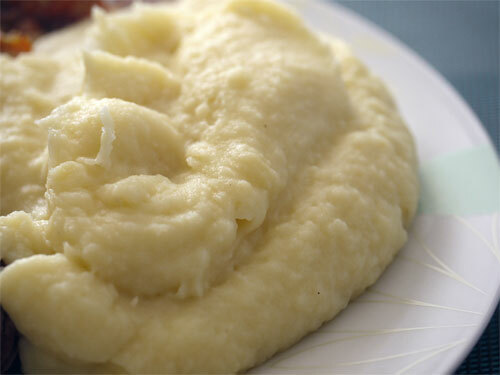 Simple mashed faux-tatoes are a terrific alternative to mashed potatoes and most people cannot even tell the difference when they are served up just right. By using cauliflower, a non-starch, you will be packing in more nutrients while maintaining a more steady blood sugar level. Give them a try and see what you think. Your kids won’t even notice a difference! Steam: Place a steamer basket in a pot with boiling water beneath it and place the cauliflower in the basket. These make a great side for most meals, including the Grain-Free Tex Mex Meatballs.